Jeffrey W. Allison is the Paul Mellon Collection Educator and Manager, Statewide Programs and Exhibitions at the Virginia Museum of Fine Arts and a professional photographer. He holds a BA in photography from Virginia Intermont College and an MFA in photography and film from VCU. He has curated numerous exhibitions including Through Different Eyes: The Faces of Poverty in Virginia, Unbroken Circle: Unto the Generations, Egypt Through the Drawing Room: 19th Century Stereographs of Egypt, and, Faces at the Races: Equine Culture in Virginia; as well as the Paul Mellon Arts in Education exhibitions, They Call it Stormy Weather: How Artists View the Weather and the Seasons, and A Horse of Course! Equine Images in Art at VMFA, which are traveling to locations throughout the Commonwealth. He currently teaches Advanced Photography and the History of Photography at the VMFA and has taught for over thirty years at institutions including Virginia Intermont College, Virginia Commonwealth University, East Tennessee State University, the Visual Arts Center of Richmond, and Virginia Highlands Community College. Jeffrey was consultant on the Discovery Channel series Ancient Origins of Native Americans and the New York Times Magazine article, Horace Bristol and the Grapes of Wrath. Awards include the 2010 John Kent Shumate Advocate of the Year. 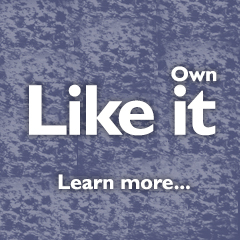 Jeffrey’s own photographic works are in numerous collections including Capital One. Recent lectures include, The World of George Catlin at the Columbus Museum of Art, Columbus Georgia and An American Silence: Walker Evans and Edward Hopper at the Wintergreen Summer Music Festival, Wintergreen, Virginia, Faithfulness to Nature: Paintings by Edward Troye at the National Sporting Library and Museum, Middleburg, Virginia, and A Lifetime of Collecting: Works from the Paul Mellon Collection at the Virginia Museum of Fine Arts. 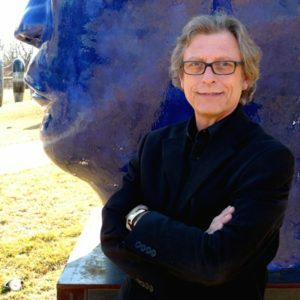 Jeffrey has acted as technical consultant for numerous museums, art centers, and festivals, including The Chrysler Museum, Hollins University, and William King Museum of Art. Jeffrey has exhibited his own photographs for over 30 years with a recent one-main show at Rawls Museum Arts and is represented in a number of private and corporate collections including Capital One. He currently serves on the boards of the Virginia Poverty Law Center and the Virginia Children’s Book Festival, the Virginia Association of Museums Governing Council, and the Torpedo Factory Advisory Board.